Will noun students go for NYSC? The summary of these searches is that prospective applicants or existing students want to know if the issues of the inability of NOUN to produce her graduates for NYSC and Law School has been resolved. established to help students to gain admissions to this non-conventional university and undergo the same studies like their counterparts from other conventional ones. The university has studies centres across the country instead of a particular university location/campus. This university has been serving thousands of students with the opportunity to study and work at the same time. With this opportunity, students have been able to cut off headaches associated with JAMB UTME in seeking admissions since applicants are not necessarily required to use UTME result for their application. All it requires is O’level results and grades relevant to their proposed courses. We all know after completing a regular Bsc and HND in any university and polytechnic, the next thing is to proceed to one-year national service. And where you’re a Law graduate, you, as well, need proceeding to Nigerian Law School to be qualified as a lawyer. However, it has been a war among the three parties since NOUN produced her first set of graduates. The Law school was not accepting their law graduates and NYSC never mobilized their graduates for service. NOUN management has put in different mechanisms and efforts to make this possible but it has never worked until now. NOUN graduates can now serve at NYSC and Law graduates can proceed to Nigerian Law School. How True is it that Graduates of NOUN can go for NYSC and Law School? I told you in my post, “NOUN Admissions: Answers to Series of Questions of Prospective Students” that everything is being done from the management side to ensure all graduates of the school can serve and go to the Law School. There was a need to assure you this, in the post, because many prospective applicants had been so skeptical about their future if they should invest their time and resources into a four or five years programmes but end up being given exclusion letter by NYSC and rejected to proceed to the Law School. News already has it that President Buhari has finally lifted this embargo of not serving at NYSC or proceeding to Law School by assenting to the National Open University Amendment Act. This will allow the National Open University to operate like all other universities, having the same power, functions and administrative structures. The argument of the National Youth Service Corps (NYSC) and Nigerian Law School was that National Open University was not set up under the same modalities, law and administrative structures like other universities in the country. Hence, their graduates would not be given the same privileges as the conventional universities. With the assent of the President, NOUN is now having the same power and functions and the same administrative structures. The Sun News most recently has it that, the Vice-Chancellor of NOUN, Prof Abdalla Adamu, who disclosed this on Thursday during the 54the meeting of the Governing Council in Lagos, said the amendment of the act now empowers the management of the university to mobilise its graduates for NYSC and the Nigerian Law School. Prof Abdalla Adamu said with the gazetting of the amended act, the university management would approach NYSC and Council of Legal Education for negotiation on the two issues. National Open University will henceforth be producing her graduates for NYSC. By this, graduates will be mobilized for a year service scheme. NOUN graduates who have been patiently waiting for them to be mobilized should get ready for work ahead. Congratulations! 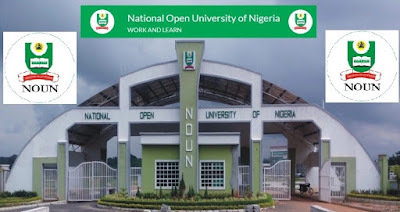 Prospective applicants shouldn’t be skeptical again to apply for NOUN. They should understand that Federal Government power supersedes. I've been surfing on-line greater than 3 hours lately, yet I by no means discovered any attention-grabbing article like yours. just right content material as you did, the web will be much more useful than ever before. Thanks for the appreciation and encouragement. I promise to keep doing my best. Kindly subscribe to my blog for future update and recommend this blog to others. it. Glance complex to more brought agreeable from you! By the way, how can we keep in touch? You can subscribe to this blog through the box below the post. You can also follow my future updates through "follow on Facebook" and "Twitter" links in the menu above the page. all. Nevertheless think about if you added some great photos or videos to give your posts more, "pop"! I don't even know the way I finished up right here, but I assumed this submit was once great.